Crowdfunding is connected to innovation in many ways that go beyond being a new phenomenon in itself. This novel model for financing projects leverages the latest technologies provided by the Internet for purposes such as the creation of online communities and electronic payments. Additionally, the existence of crowdfunding platform helps creators bring their innovative products to the market in an unprecedented manner. Crowdfunding operates as an open innovation model where the middle part of the innovation funnel is open to providers of funds or funders that are involved in all stages of the new product. The purpose of this chapter is to identify and rate the contribution of crowdfunding to date in open innovation processes and, more specifically, its value in co-creation. Some examples of Spanish crowdfunding platforms and innovators are analyzed to illustrate these contributions. It was March 25th, 2014 and the news was already in all major IT and business media: Facebook had acquired Oculus, the Virtual Reality firm, for an amount of 2 billion dollars. For decades, videogame fans had expected to improve their gaming experience by adding affordable virtual reality devices, yet none of the attempts so far had reached the combination of quality and price that Oculus offered. What was the secret formula that allowed the Oculus founder, Palmer Luckey, to jump from his original idea to real production of the device? It was crowdfunding. Oculus started in 2012 with a successful crowdfunding campaign in Kickstarter that rose $2.4 million from 2,750 funders and its value reached $2 billion in less than two years. 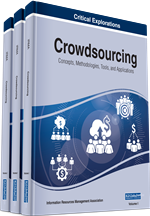 Also in 2012, MIT Technology Review nominated crowdfunding as one of the 10 Breakthrough technologies for being An alternative to angel or venture capital investment that helps fund tech startups (Greenwalt, 2013). This was a public recognition of an emerging phenomenon that had developed in the previous years. The term was first used in August 2006 by Michael Sullivan during the launch of his failed Fundavlog project. Crowdfunding emerged in an environment of economic crisis where the image of traditional financial institutions was tarnished. Access to financing for SME’s had become increasingly difficult as a consequence of the financial crisis. Therefore, Silicon Valley Venture capitalists looked for a new ways of accessing funds. Crowdfunding was the response to this search (Best, 2013). It was the result of a convergence in time and space of peer-to-peer lending and social media. By distributing the financial risk among the crowd, it enables creators to turn their projects into reality in an unprecedented manner. Crowdfunding is attracting attention for its 460% growth between 2010 and 2013 (Massolution, 2013), although its $5 billion volume estimated for 2013 is still far from the $30 billion of venture capital financing in the same period. However at the present rate of increase, crowdfunding could bypass venture capital in some years by following a pattern than resembles new entrants when disrupting an industry. From the financial perspective, crowdfunding implies a shift in the risk profile of projects, from a large risk for one (financial institution), to numerous small risks for many (the crowd). This activity can be considered “shadow banking” since it is conducted by non-bank financial intermediaries, and represents the last step in the strategy of technology companies to compete for the financial services market: i.e. Paypal, Google, Apple and Facebook. It is also important to acknowledge the significance of crowdfunding as part of a wider trend that includes concepts such as product co-creation, social capital development and collaborative consumption. All these movements have some features in common since they empower communities of individuals to manage their economic and social affairs and promote disintermediation (i.e. Uber, the transport company, has attracted great attention recently for its disintermediation potential in the taxi business). The research inquiry of this chapter can be formulated in the following way: what is the contribution of crowdfunding to date in open innovation processes and, more specifically, what value does it bring to co-creation? Special attention is given to the Spanish case in order to identify and quantify these contributions. The structure of this chapter is as follows: it starts with the concept of open innovation and its contribution to co-creation (Section one). This section includes a description of this new innovation paradigm and its three types and the specification of how type 3 or co-creation contributes to innovation. Section two presents an overview of the origin and importance of crowdfunding. In this section, we analyze how the “rewards” compensation of the crowdfunding model is the one that best captures the essence of crowdfunding activity. We then present tests of product acceptance, lessons from unsuccessful campaigns and iterative innovation cases to show the contribution of crowdfunding to co-creation followed by examples from the US as the most developed crowdfunding market. Section three includes an illustration of the model and its application to the Spanish case. This chapter ends with a section drawing conclusions and suggesting opportunities for future research.